The map is colour-coded corresponding to elevation: whites and reds are higher than yellows and greens. The data was obtained by the Mars Orbiter Laser Altimeter onboard NASA's Mars Global Surveyor. 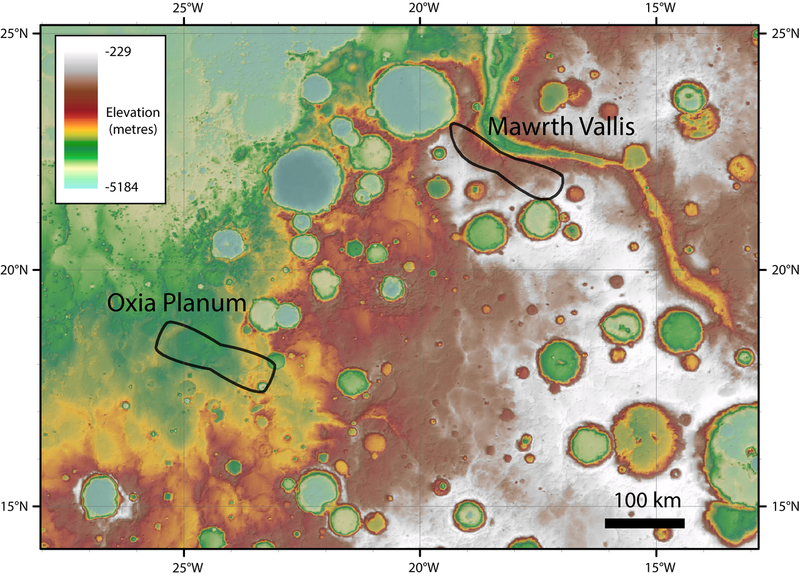 Both landing site candidates lie close to the transition between the cratered northern highlands and the southern lowlands of Mars. They lie just north of the equator, in a region with many channels cutting through from the southern highlands to the northern lowlands. As such, they preserve a rich record of geological history from the planet's wetter past, billions of years ago.